Out of bounds right and hazard left. 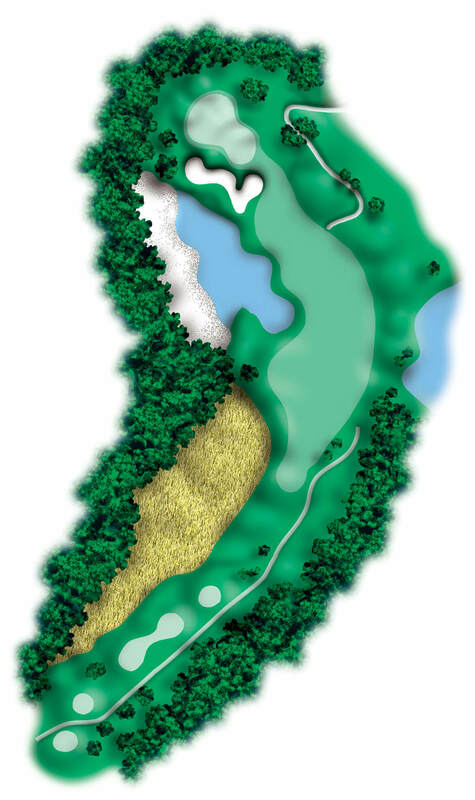 Be cautious of hitting through the fairway into the water hazard on the left. This will leave a short iron to the green. 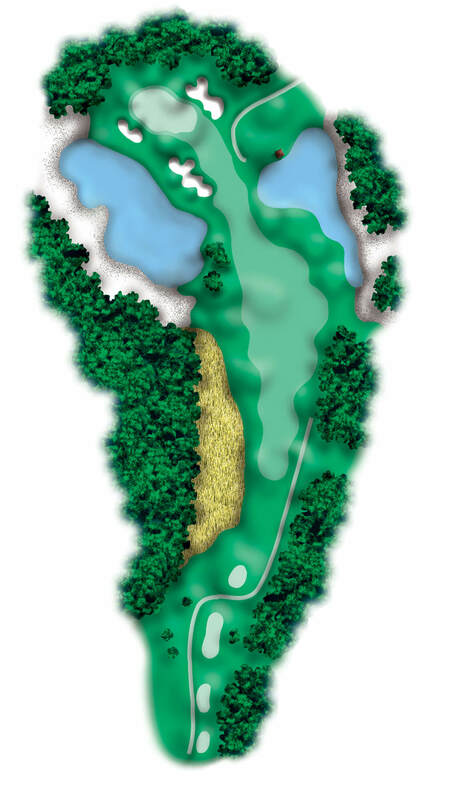 This dogleg left par four favors a tee shot aimed at the bird house. Beware of hitting through the fairway into the water hazard right. The elevated green is guarded by large bunkers. With a hidden hazard on both sides of the fairway, keep your driver in the bag. A shot to the 150 yard marker is preferred. 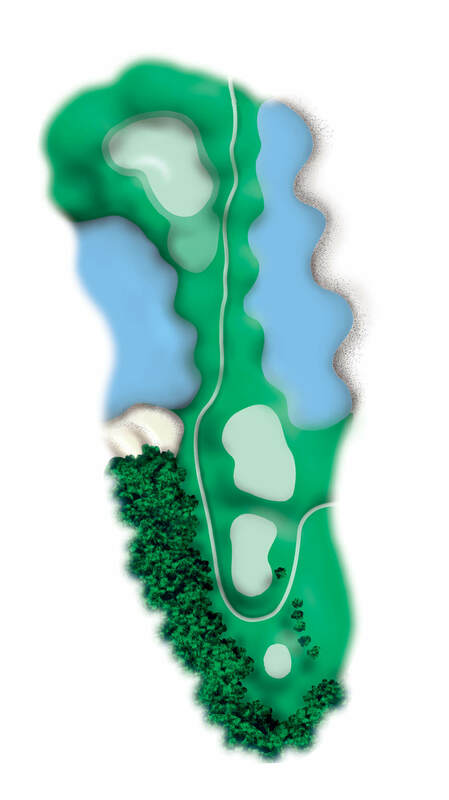 A medium length par three which offers an opportunity to attack the flag. Be aware of the bunker on the right. Wind plays an important role on this medium length par four. Club selection off the tee is important. Beware of the water hazards on the right and the left. This is the first of back to back par fives. A good drive here will be rewarded with a reachable second shot. If you elect to lay up, play your second shot down the right side of the fairway to take the waste area and bunker out of play. 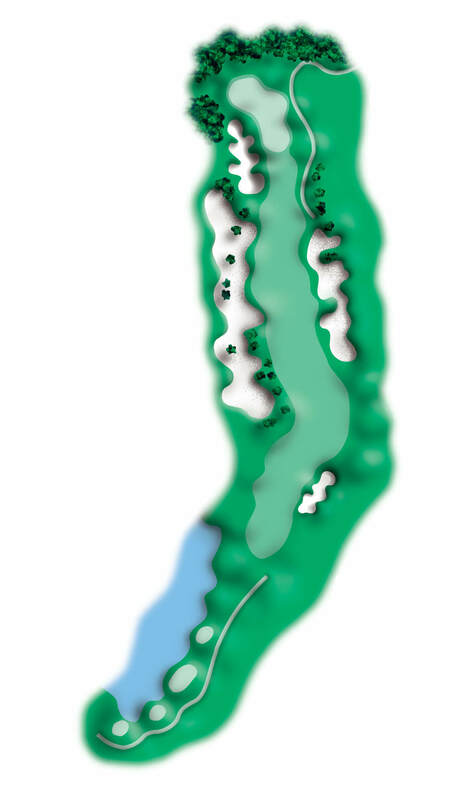 This par five boasts a large landing area off the tee. 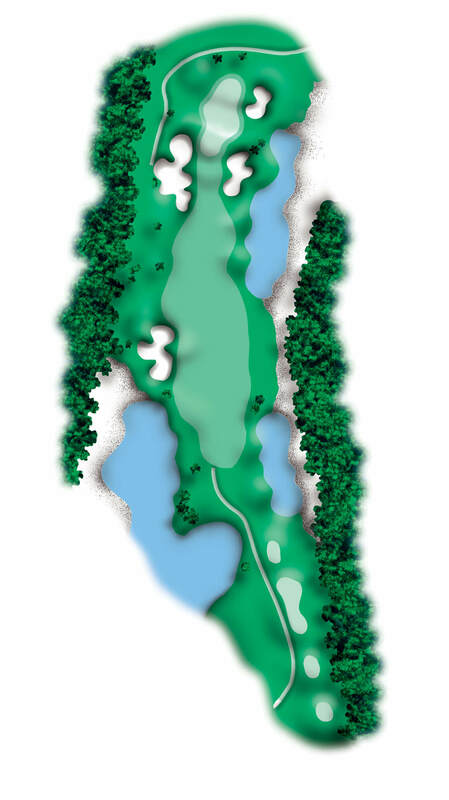 Play your second shot down the right side of the fairway to avoid the wetlands left. Big hitters may elect to go for this long and narrow green in two, but beware of the hazard left and out of bounds right. Don't be fooled by this beautiful yet treacherous par three. Although void of bunkers, water guards the green on the left and right. A demanding finishing hole. 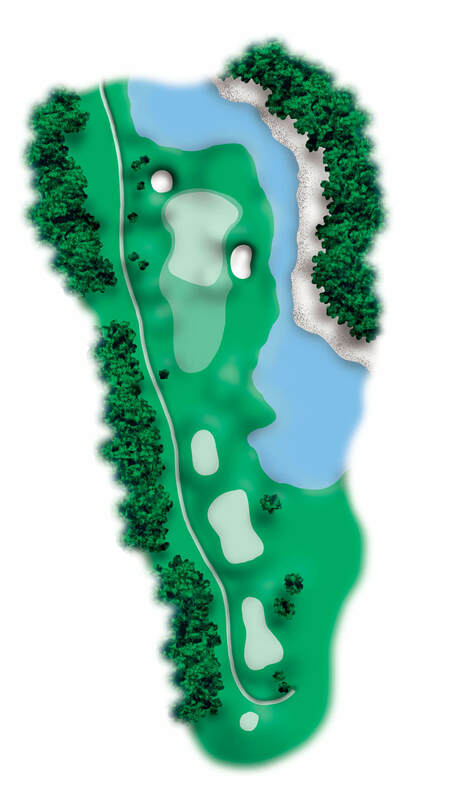 Favor the left center of the fairway to avoid the large tree and water hazards on the right. 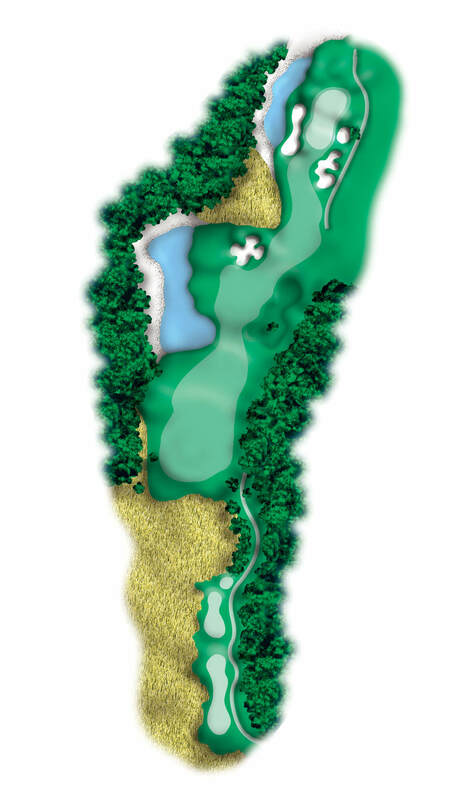 This long and narrow green is guarded by large bunkers and may add two clubs to your approach.